My full name is Kallistia, but let’s be real, Tia is easier. My core belief is that everyone is photogenic and if you think you are “awkward” in front of the camera, I would love to prove you wrong. You are perfect right now, let me capture that. 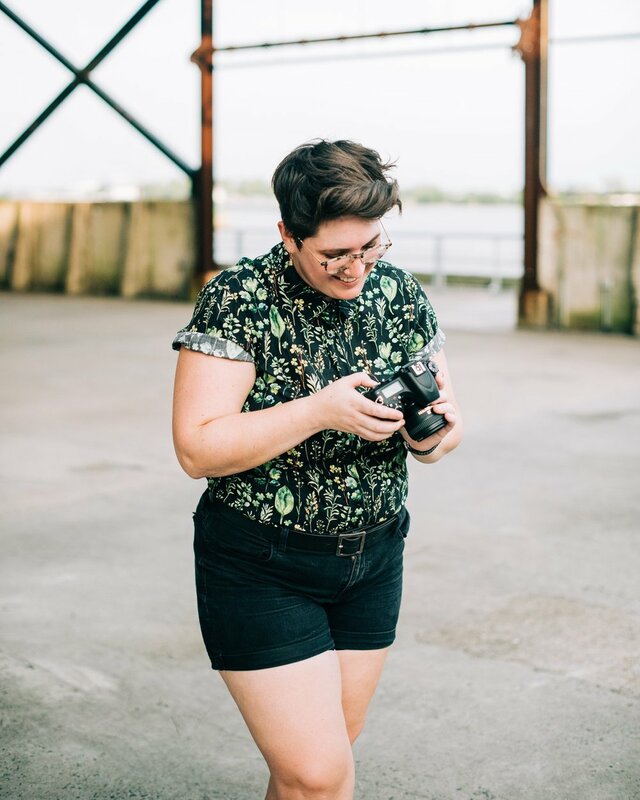 I am a New Orleans-based wedding and portrait photographer, who is in love with my wife, my pets, traveling, and climbing trees. My best days are spent outdoors curating and capturing beautiful moments. Think of your favorite 90s high school drama. Can you picture that nerdy character taking photos for the yearbook and working behind the scenes with the AV club? That was me 100%, heavy book sack, braces, and all. I spent high school obsessed with photography and the darkroom. When it came time for college, I convinced myself I would never make money doing photography, brushed it off as a “phase,” and pursued a science degree instead of my nerdy artistic dreams. Fast forward more than a decade: I was a high school math teacher for 6 years and have worked my way to what I thought was my dream job, a sweet gig in educational data. It comes complete with a nice office and THREE computer screens all to myself. The issue is, I currently sit at my desk every day dreaming of my cameras. While I still hold my day job and enjoy the work I do, in 2017 I took a leap and launched Kallistia Photography LLC. I have never been happier. I know you have a lot of choices when selecting the right person to capture your memories. My weird background, knack for planning, and drive to serve my clients the best way possible make me uniquely well-suited to do this work. Don't take my word for it; here is what past clients are saying.
" You managed to exceed my expectations and they were set pretty high! Superb job of capturing every moment we shared on that magical day. Extremely professional but more importantly you really made it special for the both of us. Extremely thankful we crossed paths." "Had an absolute ball on our photo shoot with Kallistia! She was so warm and friendly and made us feel completely comfortable." I’ve never hired a photographer before, and Tia was helpful in answering all of my questions. 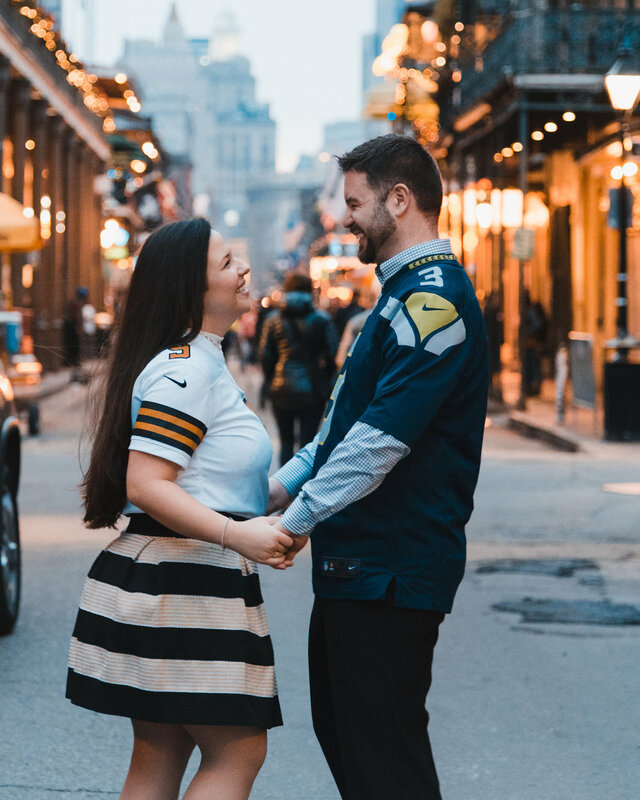 I live in New York and having someone who knew the turf in New Orleans meant a lot to me since I wanted our shoot to be representative of our engagement and my love for NOLA. Tia was so understanding! As we headed to meet her, an impromptu parade popped up and we sat in an uber for half hour trying to get to her. I was sure that the shoot wouldn’t happen, but she kept in touch with me and waited for us— we were essentially an hour late! I was beside myself in a crappy mood, with no desire to take lovey photos, but her positive demeanor and genuine interest in our story truly made me feel at ease and lifted my spirits— never mind that the gal took so much more time away from her own schedule to photograph us. I would recommend Tia for any and all of your photography needs. She’s so cool and so badass, we left NOLA feeling like we made a new friend. The three questions I answered before starting my side hustle.